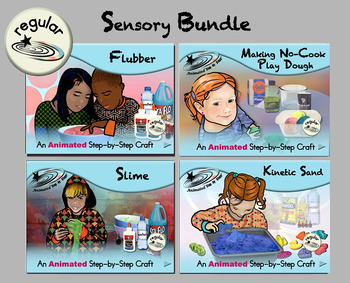 The Sensory Bundle offers Animated Step-by-Step instructions for making four sensory materials (for the price of 3). There are three versions of the Sensory Bundle: Regular, SymbolStix and PCS.This is the Regular (non symbol-supported version). Please note these PowerPoint files do not translate well into Keynote.